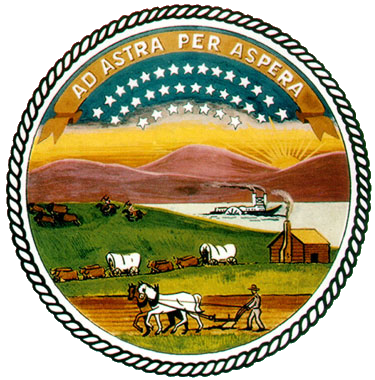 1957 – Legislature created the State Board of Healing Arts and abolished three separate state agencies: the Board of Medical Registration and Examination (created in 1901), the Board of Osteopathic Examination and Registration (created in 1913) and the Board of Chiropractic Examinations (created in 1913). The composite Board created was unique in 1957 and remains so today in that the Kansas Board is one of only three boards in the country that have medical doctors, osteopathic doctors, and chiropractic doctors all under the regulation of one board. The bill creating the Board incorporated all three professions under one act, replacing the three previous ones. 1963 – Legislature adopted statutes creating the registration of physical therapists and physical therapy assistants. 1973 – Legislature provided for the registry of physician assistants, merely requiring the Board maintain a registry of physician assistants. However, changes were made in both 1975 and 1978 expanding the Board’s responsibility in the registration of this profession. 1975 – State Podiatry Board of Examiners was abolished and the powers, duties and functions transferred to the State Board of Healing Arts. 1986 – The Legislature authorized the registration of occupational therapists, occupational therapy assistants, and respiratory therapists by the State Board of Healing Arts and directed registration to begin on July 1, 1987. 1995 – Legislature enacted the Athletic Trainers’ Registration Act under the State Board of Healing Arts, calling for registration by July 1, 1996. 2003 – Legislature enacted Naturopathic Doctor registration under the State Board of Healing Arts, becoming effective January 1, 2003. 2004 – Legislature enacted the Radiologic Technologists Practice Act, requiring the Board license radiologic technologists by July 1, 2005.